Happily ever after? This writer’s trip to Germany revealed that even the most well-known fairy tales hold some very dark secrets. If you grew up reading bedtime stories every night and obsessively watching Disney movies as I did, you probably know who the Grimm Brothers are. Jacob and Wilhelm Grimm collected hundreds of German stories, fairy tales and folklore in the 1800s. Because most of these were passed down orally through the generations, and only existed in that format, the brothers published them in books so that the stories could be enjoyed for centuries to come. 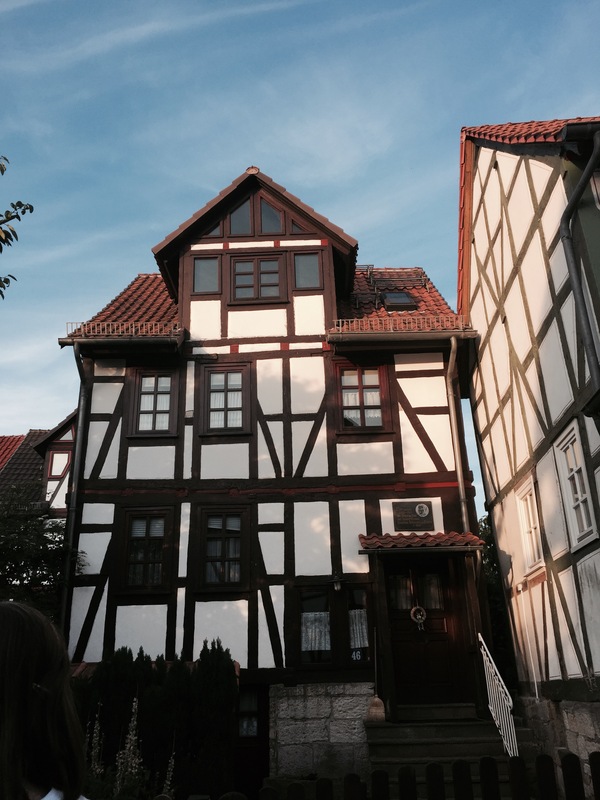 Author’s photo of a home of in Kassel, Germany where a woman affiliated with the Brothers lived! 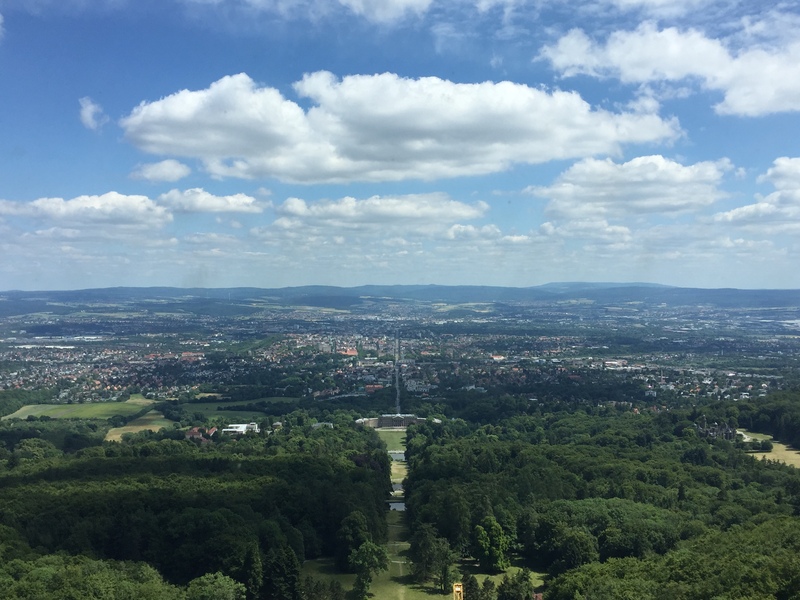 I recently participated in a homestay in Kassel, Germany, a beautiful town that the brothers called home for 30 years. Despite studying law at the University of Marburg, Jacob and Wilhelm Grimm are best known for publishing the book Kinder und Hausmärchen (translated to Children’s and Household Tales) in 1812 and various editions afterwards. Some of the more well-known fairy tales published by the Grimm’s include Cinderella, Rapunzel, Hansel and Gretel, Little Red Riding Hood, Tom Thumb, and Snow White. If you were to look at a list of Grimm fairy tales (in fact, I’ll leave a link here http://www.pitt.edu/~dash/grimmtales.html) you’d surely recognize a few titles. However, these are not the same heart-warming, happy-ending stories you’re used to hearing. For example, let’s take a look at Cinderella. We all know and love the Disney version of the beautiful orphan girl and her wicked stepmother and step-sisters. We sympathize with her underdog situation and dogged spirit. We cry with her when her dress is ruined and rejoice when the fairy Godmother appears. We root for Cinderella to beat the odds and end up with her prince to live happily ever after. However, in the Grimm version there is no fairy Godmother, but two white doves. When Cinderella’s stepsisters try on her golden slipper (another difference), their feet are too big. One sister cuts off a toe and the other cuts off her heel. And at Cinderella’s wedding, they get their eyes pecked out by pigeons. A little different, right? Many of these original stories are darker than their modern counterparts. Over time, the stories evolved and softened to appeal to a younger audience, children who could still be enraptured by magic and fantasy. But the first tales are downright disturbing; trickery, thievery, and murder are just a few of the themes you might find in the Kinder und Hausmärchen. Because of the mature content of these fairy tales, I would exercise caution before using one as a bedtime story. For those of us who are a bit older and arguably wiser, Grimm’s fairy tales offer a different perspective from the stories we’ve grown up with. So if you’re ever in the mood for some twisted entertainment, or just feel like ruining your childhood, give these stories a read! This entry was posted in Uncategorized and tagged Classics, Fairy Tales, Grimm, Myth vs. Fact, Travel on July 10, 2015 by jrrohrbach.